The acronym "BRIC" refers to Brazil, Russia, India and China. It was later expanded to "BRICS" to include South Africa. 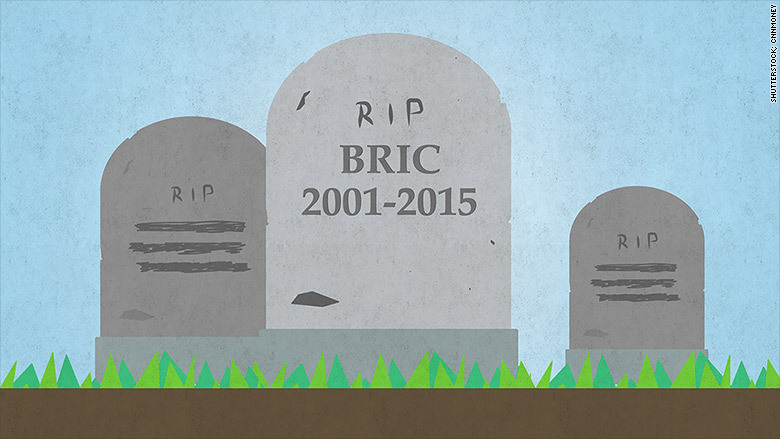 BRIC investing has officially fallen out of favor. Goldman Sachs (GS)' asset management business has killed off its BRIC fund, concluding that it would not "experience significant asset growth in the foreseeable future." The powerful investment bank was the original champion of investing in Brazil, Russia, India and China, which became known as BRIC nations. 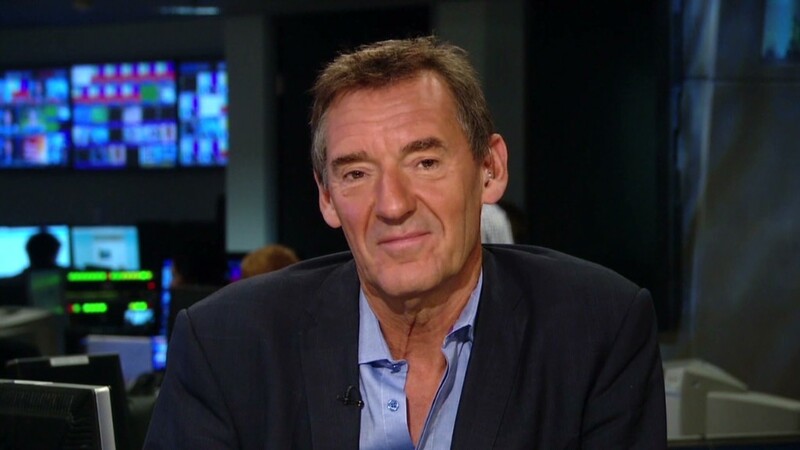 Goldman's former chairman Jim O'Neill coined the "BRIC" acronym in 2001 and brought the world's attention to strong growth potential in these large emerging markets. The acronym was later expanded to BRICS to include South Africa. However, the promise of BRIC countries has faded as Brazil's economy slumps, Russia struggles with low oil prices and international sanctions, and China's economy slows after previously posting double-digit growth figures. Goldman's BRIC fund was created in June 2006 and experienced wild swings during the financial crisis in 2008 and 2009. An official filing shows that it averaged a measly 3% average annual return and underperformed the MSCI BRIC index. Goldman warned in September that it planned to fold the BRIC fund into a more diversified emerging market fund on Oct. 23. Even though the BRIC era appears to be over, Goldman Sachs said it's not time to give up on all emerging markets. "Over the last decade emerging market investing has evolved from being tactical and opportunistic to being a strategic part of most asset allocations," said Andrew Williams, a spokesman for Goldman Sachs. "We continue to recommend that our clients have exposure to emerging markets across asset classes as part of their strategic asset allocation." An October report from the Center for Strategic and International Studies questioned whether the BRICS still matter, arguing that "the foundation of the BRICS concept is beginning to crumble." "Conflicting interests and the indisputable political, social, and cultural differences among the group's members have kept the BRICS from translating their economic force into collective political power on the global stage," the report said. "And with economic prospects decreasingly promising, the notion of the BRICS as a political project seems too fragile to stand on its own."